J Dilla’s Sunset Blvd. instrumental beats to be included with the CD release, also available digitally and on vinyl LP. 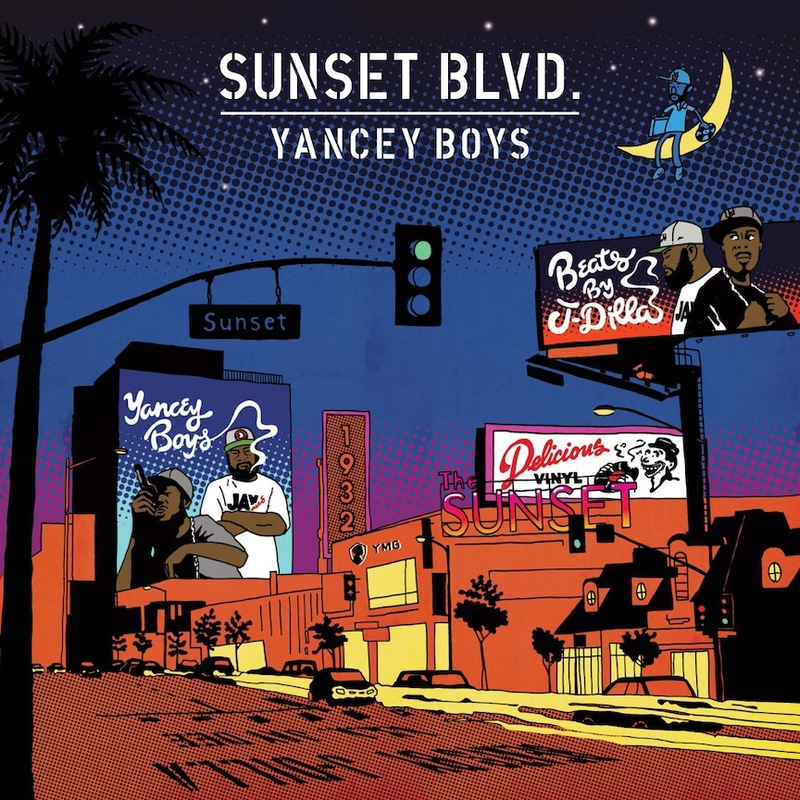 On October 29th, Delicious Vinyl proudly releases Sunset Blvd, the new album from Yancey Boys, the group piloted by John “illa J” Yancey and Frank Nitt. The dynamic new collection is built around previously unheard tracks created by illa J’s brother: the late, great J Dilla (James Yancey). With Frank Nitt’s standing as J Dilla Music Catalog Curator and the official approval of Yancey Media Group, all productions on Sunset Blvd originate from The Lost Scrolls — the stunning cache of beats Dilla left behind. Steady touring, recording, and the success of the annual Dilla Day Detroit Festival all contribute to the versatile sensibilities of Sunset Blvd. The album’s standout joints include “Go And Ask The DJ” (a storming rap jam featuring Guilty Simpson with cuts by J Rocc) and the sensual “Lovin U” featuring R&B stylist Eric Roberson with cuts by Chily T. The release of Sunset Blvd is preceded by the release of the single “Quicksand” featuring Common and Dezi Paige. Rooted in history and realized in the present, this is a new chapter in the Yancey legacy.